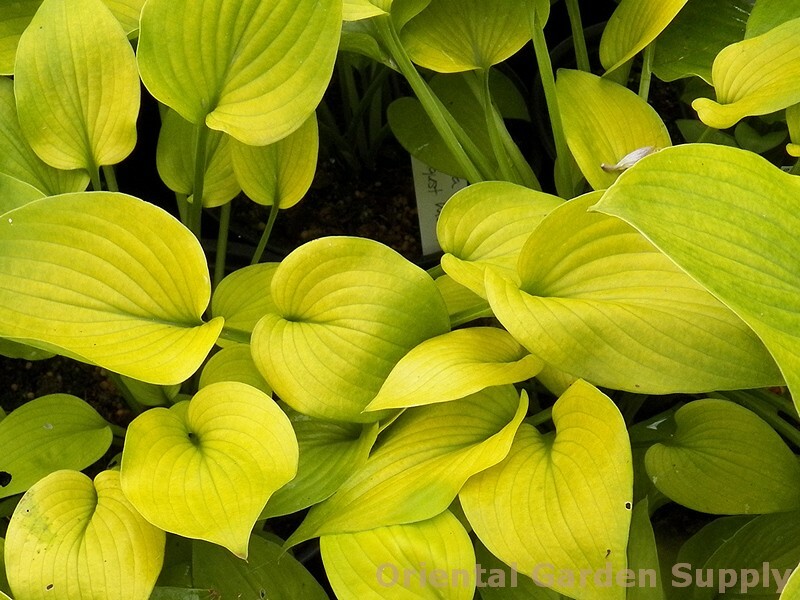 Product Information : Brilliant gold to chartreuse leaves. Tolerates full sun which will intensify the gold color of the leaves. A slug resistant hosta with corrugated leaves. Pale lavender flowers.